Reger Dasco Properties, a partnership of New York and Massachusetts developers, says it has long-term plans for the city. 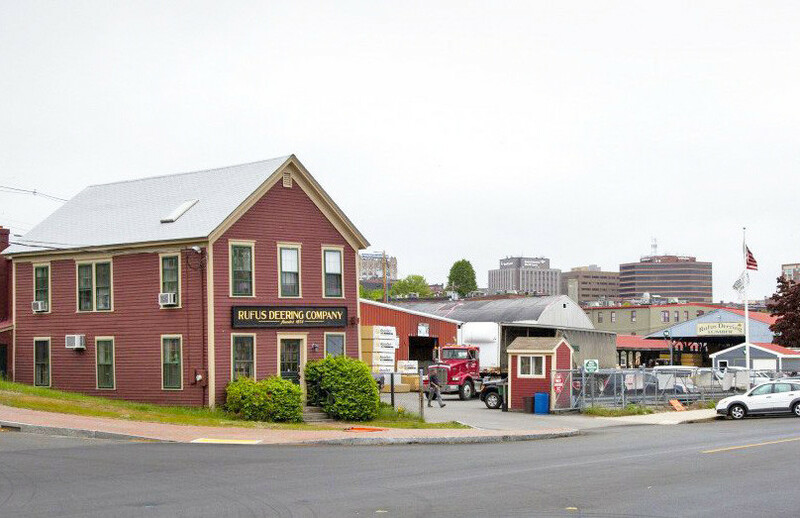 The partnership that is buying Rufus Deering Lumber Co.’s waterfront lumberyard property on Commercial Street for redevelopment was created to develop high-end residential properties and other projects in Portland. Reger Dasco Properties is a Portland-based partnership among Gordon Reger, principal of Reger Holdings in West Seneca, New York; Demetri Dasco, principal of Atlas Investment Group in Boston; and Joseph Dasco, principal of Boulder Hill Development in Monson, Massachusetts. Reger Dasco is the developer behind the 113 Newbury condominium project in Portland’s India Street neighborhood. That project’s website states that Reger Dasco “has extensive experience with real estate investments, high-quality residential developments and mixed-use projects.” Company officials did not return calls seeking comment for this story. Prices for the 113 Newbury condominiums range from $340,000 to $1.4 million, according to the website. Reger Dasco is the developer behind other projects in Portland, including a planned, four-story building with a mixture of retail space and residential condominiums at 62 India St. The India Street neighborhood is an area that’s seeing some of the most aggressive real estate development in the city. Reger Dasco developed another luxury condominium project in the same neighborhood. The Bay House was completed in 2013, adding 85 condos at Hancock and Newbury streets. In March, Joseph Dasco told the Press Herald that the group remains bullish about Portland, especially the India Street neighborhood, given the lack of housing and number of baby boomers who are moving from the suburbs to the city. On Monday, city spokeswoman Jessica Grondin told the Press Herald that staff has conducted pre-application meetings with Reger Dasco regarding the Rufus Deering lumberyard, but the developer has not yet submitted any specific plans for the site. Grondin said the height restriction for buildings on that site is 65 feet, or roughly six stories. Rufus Deering announced Monday that it plans to close its Commercial Street lumberyard after 162 years in business. The lumberyard is one of the oldest businesses in Maine. Company Senior Vice President Dan Labrie said the property, which has become extremely valuable, has been placed under contract with an interested buyer. Labrie would not disclose the buyer’s name or the property’s intended future use, but Grondin confirmed that the buyer is Reger Dasco. Labrie said Rufus Deering will cease operating Nov. 30 and begin the process of transferring most of its staff and assets to competitor Eldredge Lumber & Hardware in Portland and York. Roughly three-fourths of Rufus Deering’s 26 employees are being acquired by Eldredge, he said, along with Rufus Deering’s inventory and equipment. According to Portland Tax Assessor Office records, the 2.5-acre lumberyard property is valued at more than $2.3 million for tax purposes.